The Maltese Islands offer a distinctive blend of the modern and the authentically antique. As a European Union member state, the Islands are situated in the heart of the Mediterranean Sea, just three hours away by plane from the main European cities. The Maltese Islands were established as a meetings venue long before the advent of technology. The pre-historic temples on the Islands were utilised for ritualistic meetings by ancient civilisations. Nowadays, Malta, Gozo and Comino are hosts to a number of corporate and association conferences, as well as incentive events. The professionalism and experience of the local MICE service providers create an event which is tailor-made for individual clients. Built on a stable history of hospitality, the Maltese Islands will bring knowledge, expertise and added creativity to any event which will surely be remembered as being more than just an overseas business trip. Gozo – Malta’s sister island – is renowned as the mythical island of Calypso, whoch drew Homer’s hero Ulysses to its shores for a seven-year hiatus. Though there are only five kilometres of sea between Malta and Gozo, the islands are distinctly different from each other. Gozo is a third of the size of Malta, more rural and tranquil, greener, less bustling, but still full of life. While authentic houses of character have been renovated to suit the most exigent contemporary clients, the Island also has luxurious hotels, making Gozo a must-visit location. It is almost always included in delegates’ social programmes as well as pre and post-conference leisure-time arrangements. It is particularly renowned for team-building events, dinners, barbeques, active day tours and outdoor events. Moreover, the Island is a conference and incentive destination in its own right, and has the facilities to prove it. The size and natural setting of the island conspire to make it a prime location for incentive groups wishing to experience the Island’s laid-back lifestyle, culture and cuisine. The Island’s atmosphere and landscape is also very well suited to making the most of the outdoors and enjoying the temperate Mediterranean climate. Gozo’s colours and flavours are brought out by the radiant skies above it and the blue sea which surrounds its spectacular coast, which is simply waiting to be discovered. 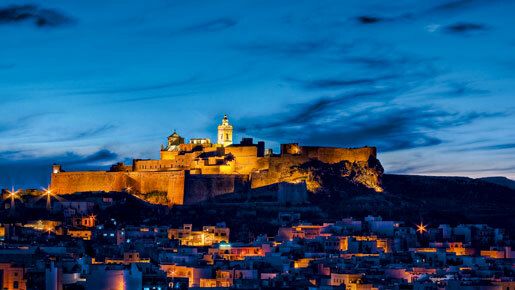 Few destinations radiate the warm, magical charm of Gozo. Even fewer can effortlessly blend work with pleasure, in a setting which is peaceful and intriguing at once. Oriflame – a meeting of 5,000 sales agents for a cosmetics distribution company, which is estimated to have generated around €8m. The event, which is the largest conference hosted on the Maltese Islands to date, was held in August 2010. ABTA – the travel conference of the Association of British Travel Agents was held in Malta in October last year and brought over 800 UK travel agents and 200 travel trade journalists. The European Tourism Forum – held in November last year and brought 250 delegates to the Maltese islands. AS Voyages – the conference of the leading travel agency in France, was held in Malta in December 2010, and was attended by 700 representatives of French travel agents. The International Council of Nurses – held in Malta in May this year, and brought over 2,300 delegates from 127 countries. The Fetal Medicine Foundation conference – held in Malta during the first week of July this year. This event brought 1,500 medical professionals to Malta, hailing from 80 countries. The event is estimated to have generated €1.3m in the local economy.